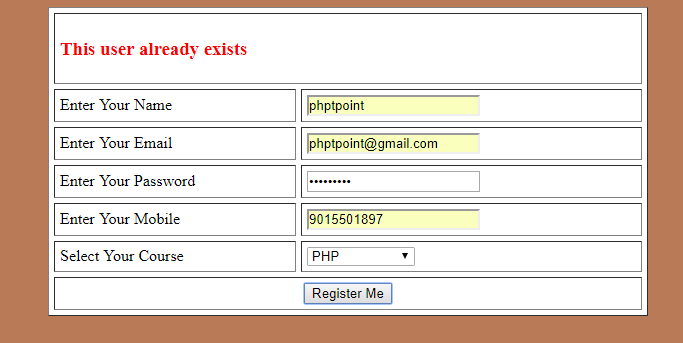 In this tutorial we will understand how to create simple registration form in CodeIgniter. “User already exists” if not alrady exists then store information inside database. We will use student table to save data. In this example we have not used proper model page , all database query wrote in Controller. 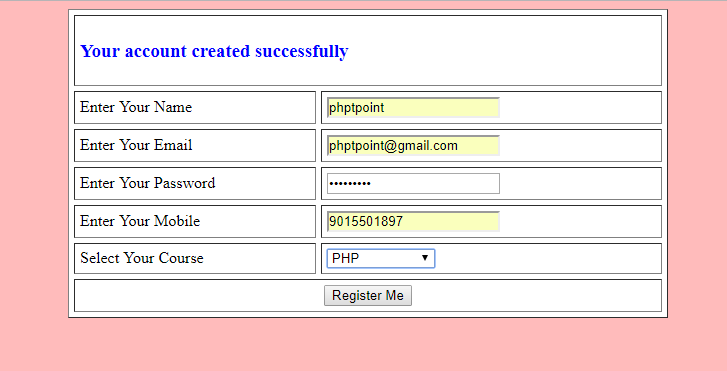 Copy the below given code in your student_registration.php View Page.